Is your deck losing its luster? Look no further than Watson's Painting & Waterproofing Company for your deck painting and staining job. UV rays and moisture can lead to cracked wood, splinters, warping and mildew. Let the experts at Watson's Painting & Waterproofing Company take care of protecting your deck investment. Watson's Painting & Waterproofing Company deck painting and deck staining specialists have years of experience in caring for decks. Preparation - No job is too big or too small. Watson's Painting & Waterproofing Company prepares decking prior to painting with a thorough pressure washing to remove dirt, mildew, moss, damaged surface wood fibers. Rough areas are sanded as needed to restore a smooth finish. Watson's Painting & Waterproofing Company will then help you choose the right stain or paint to compliment your home and landscaping. Deck Staining - Next we carefully apply one or more coatings of high grade paint or stain that can withstand the damaging heat and UV of the summer sun, the cold of winter, and regular exposure to moisture. Your deck is in caring hands with Watson's Painting & Waterproofing Company's experienced deck painting and staining professionals. Affordability - Priced just right, Watson's Painting & Waterproofing Company's deck painting and deck staining jobs are always a great value. 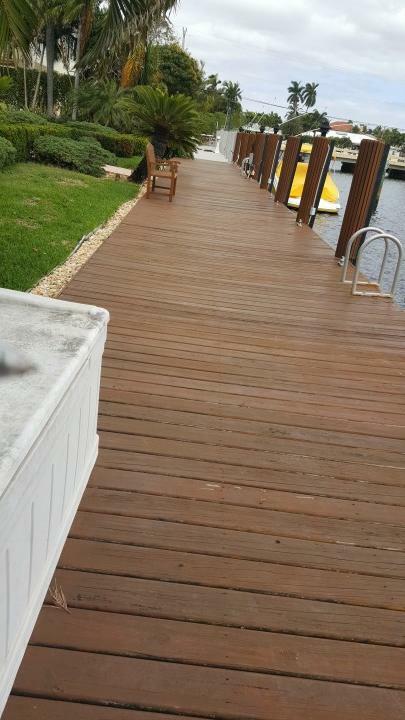 Call today to find out how affordable Watson's Painting & Waterproofing Company's deck painting service truly is. Satisfaction Guaranteed - Watson's Painting & Waterproofing Company guarantees that you will be satisfied with your freshly painted or stained deck. You'll love being outside enjoying your newly stained deck!